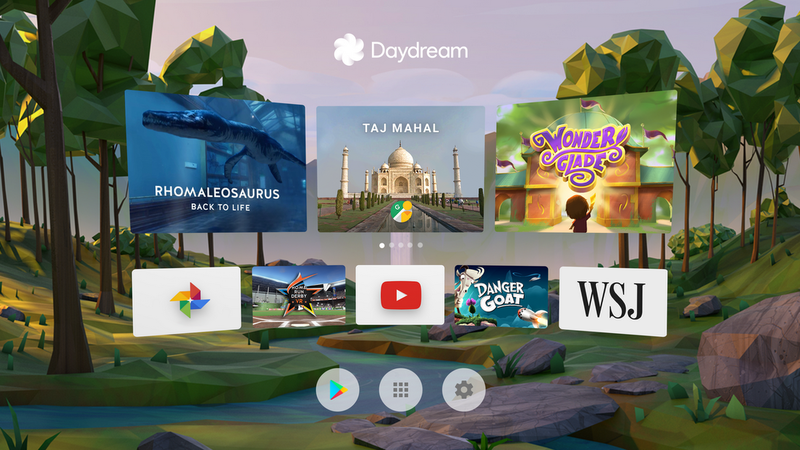 The Daydream app, available on any Daydream-ready phone starting with Pixel and Pixel XL, lets you launch your favorite VR experiences and browse from an ever-growing collection of apps, games and videos. Plus, the app brings new featured content front and center so there’s always something fresh when you put on your headset. With Daydream, you can experience some of the most popular Google apps like Google Photos and Google Play Movies in virtual reality. Visit 150 of the world’s most amazing places like the Pyramids and the Taj Mahal with Google Street View. 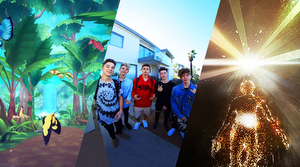 And with YouTube VR, you can watch the entire library of YouTube videos on a virtual big screen and experience hundreds of thousands of immersive videos from top creators. And we’re also bringing Google Arts & Culture to Daydream. Step inside a virtual gallery and view masterpieces from over 50 world-renowned museums. Whether it’s Vincent van Gogh’s landscapes from the Metropolitan Museum of Art, Rembrandt’s works from the J. Paul Getty Museum, or a collection of the Most Beautiful Cats from RMN-Grand Palais, you can zoom in to see brushstroke-level details. The app is launching today as a Preview Edition with more enhancements to come in future updates. 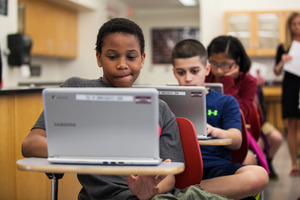 In addition to Google apps, there are many other experiences available on Daydream. Explore new worlds, kick back in your personal VR cinema and get in the game with an intuitive controller that puts you at the center of action. 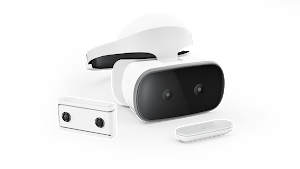 Head over to one of thousands of retail locations to demo Daydream View. The demo includes an exclusive Fantastic Beasts and Where to Find Them experience where you can wave a wand (a la the Daydream controller) to explore the magic in virtual reality. Our goal with Daydream is to bring high quality, mobile VR to everyone. And this is just the beginning. There will be even more apps and games coming to Daydream in the next few weeks and even more Daydream-ready phones available over the next few months.